All the boys needed a bath. But we don't have a bathtub big enough for these guys. 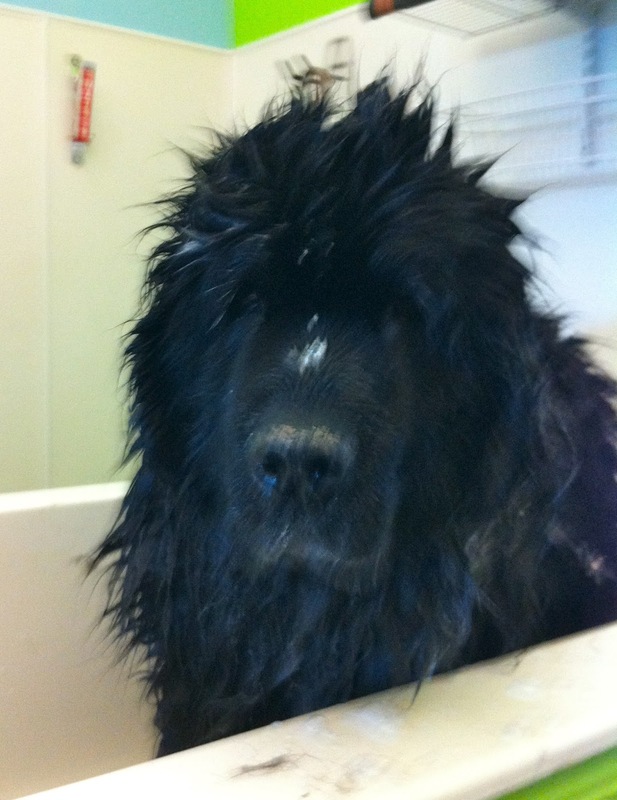 Luckily we have Dogma Pet Supply and Dog Wash where they have walk-in tubs that are large enough for even the biggest Newfoundland. 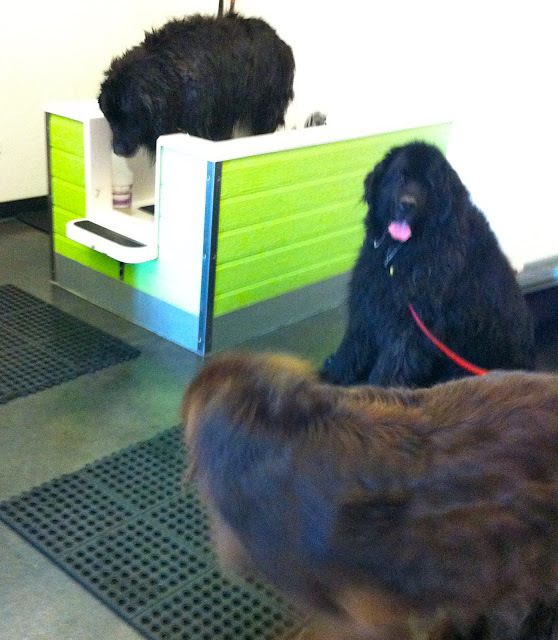 Four dogs at the dog wash...what could possibly go wrong? 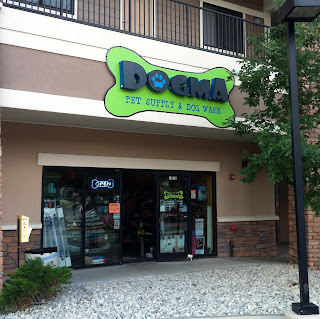 You bring your dog in and DIY the wash.
Dogma supplies the shampoo, towels and even a blow dryer for a price that's much lower than traditional grooming. Still...I was nervous about handling this project on my own. 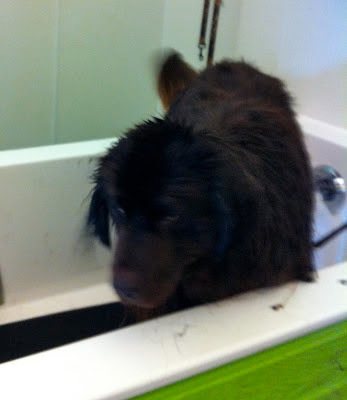 I decided to try for a trifecta by bathing all three of my boys and Coco in the same visit. Should I be embarrassed by the second stack of towels that were brought out when the owner of the store saw all of the water on the floor? 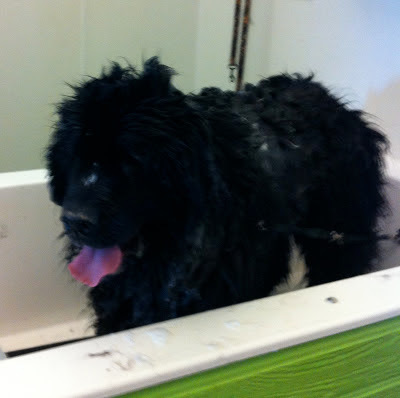 This dog wash was a wonderful bonding experience with each of the dogs. I'm pretty sure Charlie loved it. 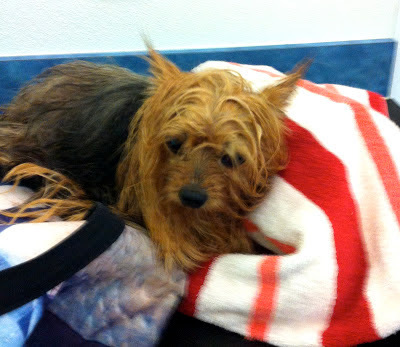 Should I be embarrassed when the store's owner pointed out that I should dry the dogs off before they get out of the tub, not after? Even Coco got a bath! Do you think the Dogma will ever let us come back again? Four dogs smelling sweet and looking pretty. 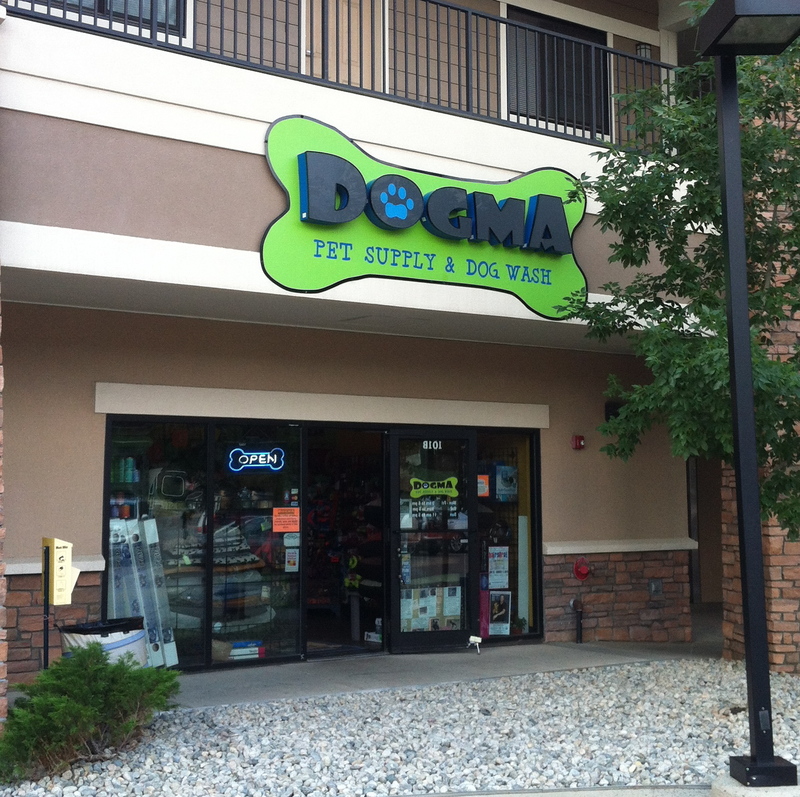 Thank you, Dogma Pet Supply and Dog Wash!